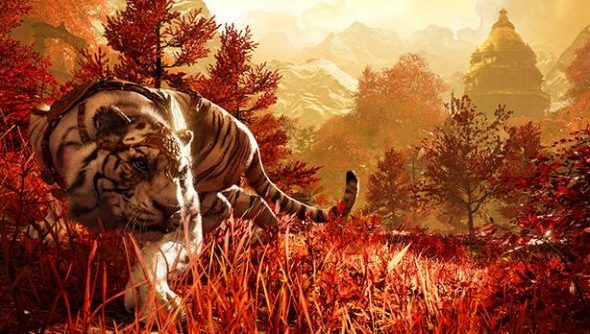 If you thought Far Cry 4 was just more men with guns embroiled in a savage civil war, you’d only be half right. 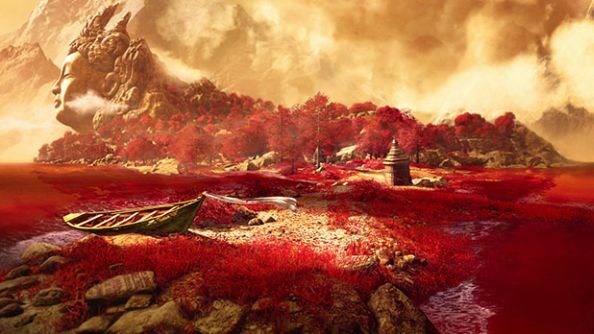 Outside of Krayt lies the majestic land of Shangri-La, but it’s a land that’s under captivity by an evil demonic force. Here you’ll toss aside your boomsticks, instead opting for a more natural attire of dagger and bow. And with the help of powerful ancient guardians – notably that of an armoured white tiger – you’ll help cleanse Shangri-La one voodoo-like cultist at a time. From a Ubisoft blog post by communications specialist Anne Lewis, we manage to get a sneak peak into what we can expect in a typical outing into the depths of Shangri-La. Along her journey, Anne met three unique enemies of the Rakshasa. “The Lurker is the most basic; armed with a bow and the ability to summon dog-like creatures that explode when they get too close to us, the Lurkers are relatively easy to dispatch. “The Butchers provide a much different challenge, as they can teleport themselves mid-attack and sneak up on us from a different direction. Although it’s an entirely different area to most of Kyrat, your deeds in Shangri-La will have an effect on Kyrat as a whole. 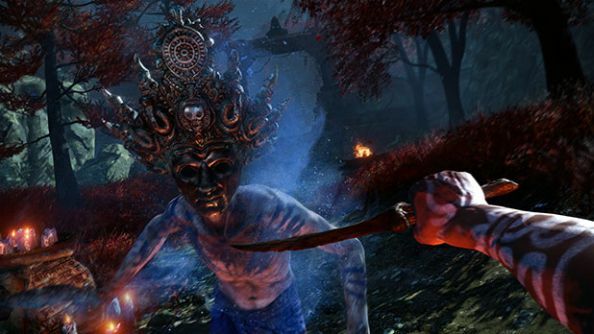 “Shangri-La is its own entity, but its effects carry over to Kyrat. As you complete missions in Shangri-La, you’ll unlock new skills in the main game.” Lewis explained “But beyond the gameplay, the Shangri-La levels will also give you more insight into the main story of the game, as interesting parallels are drawn between Ajay and Kalinag. By the time you complete the legend, you will know more of the backstory of the game and be more aware of what people in the main game are referring to when they mention these stories.